We provide cost-effective, satellite-based voice communication and data transfer services for the commercial fishing and related marine industries. STS SeaMail is the most efficient way to access your email account and Internet data while on the water or in remote locations. STS SeaMail is based on the original, proven compression algorithm. It is simply the fastest, easiest-to-use and most reliable satellite phone email available, saving you time, money and frustration. STS SeaMail + the OPTIMIZER is the best solution available for Internet connectivity. Sophisticated data compression saves you expensive connect time. OPTIMIZER transfers data via local Wi-Fi enabled devices - instantly! You can't always be next to your radio. 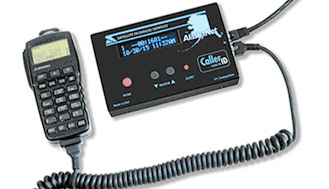 The compact CallerId unit keeps a record of calls - number & time of call - while you're away from your radio. 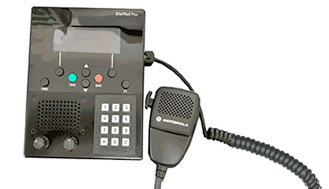 DialPad Plus is a direct replacement for Hughes G2 mic systems. Adds ease of use plus other features over a regular mic. We offer enhanced Iridium and Inmarsat satellite services thru Pivotel. Sign up with Pivotel for special promotions. View video of STS/Satellite West products and services in action in Alaska.